Florence, Italy, is a picturesque city that’s hailed as being the birthplace of the Renaissance. With an entire historic city center deemed a UNESCO World Heritage site — not to mention a metropolis filled with quaint and romantic hidden spots just waiting to be discovered — this Tuscan paradise is a prime travel destination for many Americans. Here are six reasons why you should plan a trip to one of our favorite cities in the world. Strolling along the river in many cities is a lovely experience, but the riverfront in Florence has an ethereal quality to it, setting the vibe for the entire city — you might say the Arno River breathes life into Florence. The bridges are gorgeous day or night, and somehow the sunlight never hits them in just the same way, so crossing at different hours always makes for unique photos. The Ponte Vecchio is the most popular bridge, but the real fun lies along the other, less touristy bridges. Be like the locals and bring a bottle of wine and some snacks after dark to sit on the Ponte alle Grazie with your friends and take in the scene or order an Aperol Spritz at the bar on the corner and enjoy the view. For a quieter walk, wander across the Ponte Santa Trinita or the Ponte alla Carraia. 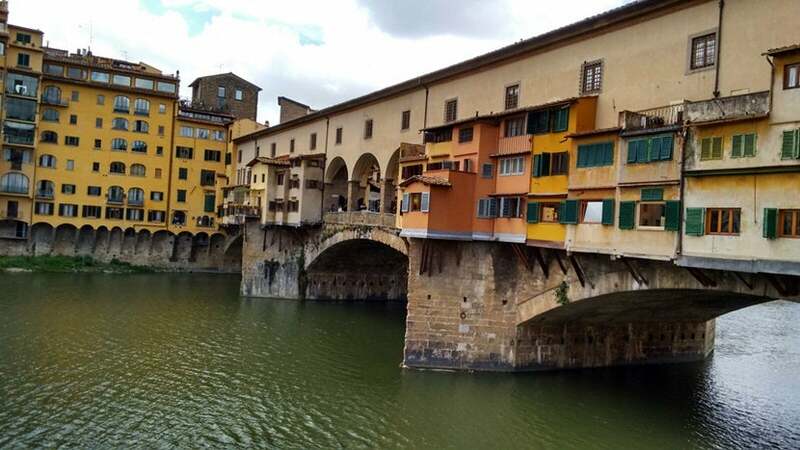 The Ponte Vecchio bridges the gap between today and yesterday. 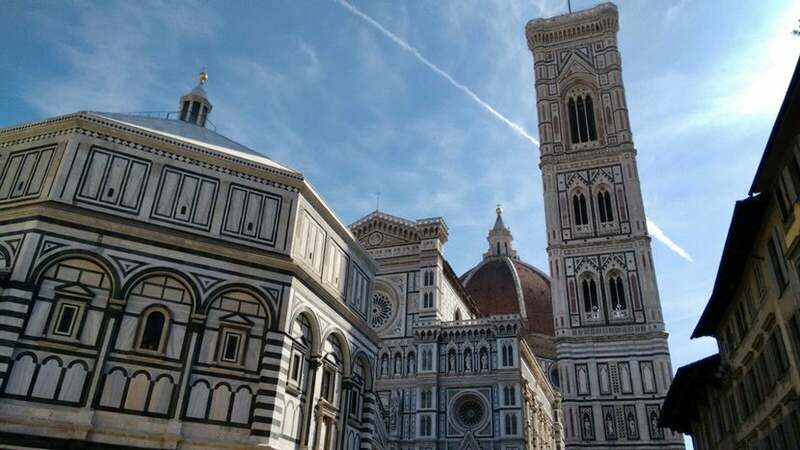 Florence is heaven for art and history buffs, thanks to the Uffizi Gallery, which hosts some of the most spectacular art from the Italian Renaissance. Michelangelo’s Statue of David (at the nearby Galleria dell’Accademia di Firenze) and the Duomo Cathedral, with its famous dome by Brunelleschi, are must-sees, but the whole city is truly a work of art so you don’t even have to set foot in a museum or gallery to soak in the glory of the Italian Renaissance. Those who love charming details will fall in the love with the cobblestones streets, intricately designed fountains, statues on every corner and rickety thatched rooftops and colorful shutters of local homes. The Duomo looms over Florence. Image courtesy of the author. While Florence isn’t the fashion-forward haven of Milan, look past the crowds of American students studying abroad and see that the city is still filled with enough fashion and style to make a posh New Yorker envious. The Italians stand out like sore thumbs among the tourist masses thanks to their deeply ingrained sense of style and reluctance to leave the house in activewear. The city is home to every possible high-end designer shop that exists as well as museums dedicated to Gucci and Ferragamo. If you’re looking for more affordable boutiques, spots like Sofi and Floreiza offer stylish finds. The city is also home to high-quality and affordable leather products, so check out boutiques like Massimo’s Leather or the San Lorenzo Market for great finds — and bring your haggling skills with you. 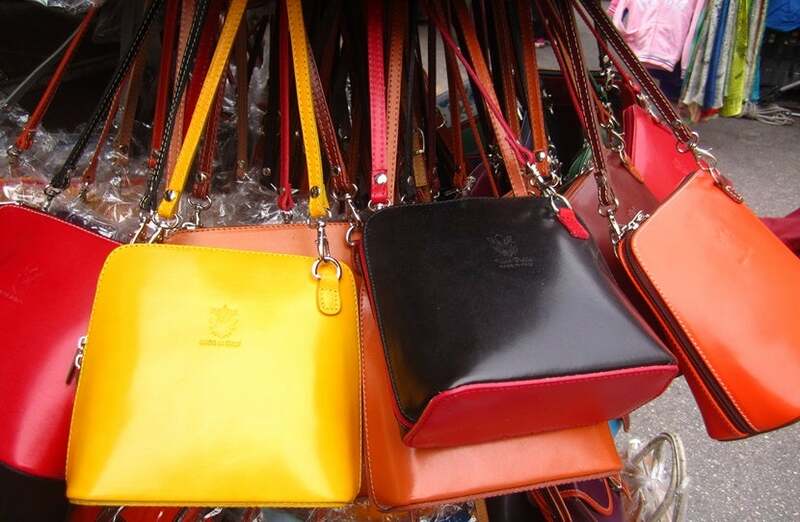 Bags at the San Lorenzo market catch the eye without worrying your wallet. Tucked into the hills, Florence is in the middle of the Chianti wine region, meaning you can drink cheap and delicious varieties of wine all over the city, or take a day trip for wine tastings at local vineyards. 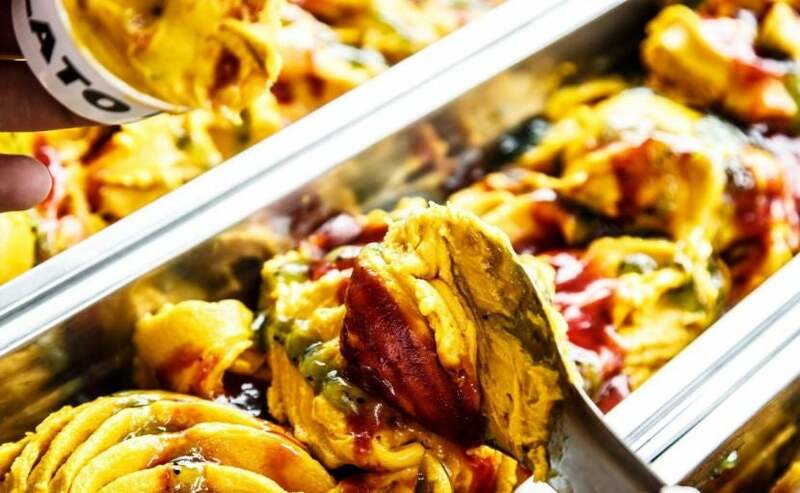 The food is incredible, and aside from typical Italian fare like pizza, pasta and gelato, Tuscan regional favorites include wild-boar pasta, tripe and bilberry steak, a perfectly cooked filet mignon soaked in warm bilberry sauce (bilberries are almost identical to blueberries). 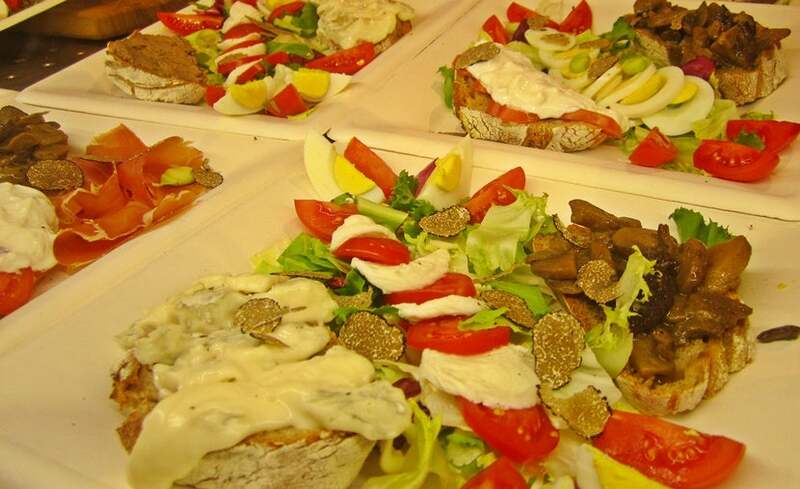 Delicious cuisine abounds in Florence. Visiting small villages in the rolling hills of Tuscany is a perfect day trip. Medieval towns like Lucca and Siena are within easy reach, as are larger cities like Pisa and Genoa — even Bologna is only about 90-minutes from Florence. If you don’t want to rent a car, there are several organized tours that can get you out of the city for a day or two or you can always hop on the trains, which are especially easy to use in Italy and a fun way to get some great views. While Florence is gorgeous all year long, the city offers wonderful festivals throughout the year that can be amazing cultural experiences. Some of the most popular are Carnevale in February, the Gelato Festival in April, the Pitti fashion fairs (various dates) and the Festa della Rificolona (paper lantern festival) in September. June is considered to be Florence’s golden month, with a number of patron saint days as well as music and dance festivals. Sample strawberry-kiwi gelato at the Gelato Festival. Photo courtesy of the Gelato Festival’s Facebook page. 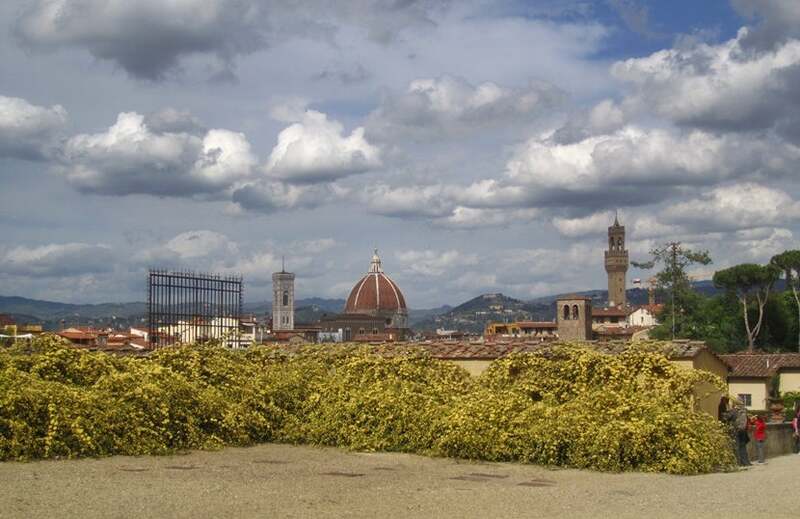 What are some of your favorite things to do in Florence, Italy? Tell us about them, below.